Today’s morning downward movement towards 1900 and subsequent bounce rally was expected. I thought we might break 1800 with wave 1 – but it’s also possible that it holds as support. Either way, we did get what looks like a wave 1 down. At this point, either the wave 1 down is followed by the recent wave 2 rally — or that wave 1 down was actually a wave C down and we will continue to rally beyond where we expect it to go – potentially to new highs. I am open to both possibilities and it really depends on how the pattern morphs on a daily basis. Before I talk about today’s topic of overnight and weekend risk — particularly over 3 day weekends, i wanted to talk about what some of our subscribers have been bugging me about–the urge to get into a trade. So as I’ll discuss in a bit, this week we had a profitable max profit trade as our trade of the week. We promise 1 high probability trade each week and that trade made good money this week. We initiated the trade on Tuesday and it expired on Friday for maximum profit. In fact, within 1 day, this trade reached 50% of max profit and within 2 days, it reached 90% of max profit. Now, some of our subscribers are constantly bugging me — where’s the next trade? As if there’s this constant need to be in a trade. Well, let me clarify, this is podcast and service is all about LifeStyleTrading — these trades are designed with the intent that you can put on the trade and carry on with your life –whether it’s your day job or something else — and by Friday expiration, the hope is that you will collect your max profit. There’s no guarantees it works out as planned – but that’s the goal we aim for. The goal is NOT to generate trade idea after trade idea after trade idea — it’s not about quantity — it’s about quality. Our goal is to help you generate a few thousand dollars per month with just 1 trade per week. Sometimes we might give bonus trades — in fact, oftentimes we do more than 1 trade per week. But those are bonuses. Also, we care about high probability trades — so we don’t do large quantity of trades. We want to be able to put on the trade and relax. Now yes, many of our subscribers are day traders who are constantly in and out, in and out — constantly looking for the next trade. But you don’t have to be so neurotic to make money in the markets. Additionally, we also have a lot of subscribers who have day jobs — so I want to make sure these people can realistically see my alerts, login to their account, and place the trade without having to constantly monitor it. I do the hard work so you don’t have to. It’s about quality and consistency and lifestyle — not watching every tick of the market and overtrading to the point that commissions and mistakes eat up your account. The focus here is on accuracy — not quantity. When I recommend a trade — I go through this rigorous analysis and mental process before I send out these alerts. I want to know that the trade I recommend can potentially be held all the way through expiration so people who can put on the trade and sit back and relax. Now it doesn’t always work out that way — sometimes we need to adjust the strikes or expiration date based on market movement — but that’s the initial intention. There are times when I see a trading opportunity that I’ll trade myself, but I won’t alert subscribers because it’s too risky or because it’s too temporary. A good example of this was earlier this week. After that huge rally from 1802 to 1933 in the ES futures, I put on a short from 1915 — but I didn’t recommend to all my subscribers because I wasn’t sure how far the market would retrace. Once it finishes retracing, there would be a big bounce — and I wasn’t sure if that bounce would happen the very next day or sometime later. So to play it safe, I keep that trade to myself. So there’s a lot of opportunities that I see, but I only alert what I see as safer bets that I think have a good potential to reach max profit with minimal risk that it the market reverses quickly. So I won’t recommend a trade if I don’t think the trade can last into expiration friday — or if it’s too short term. I am for less is more. Fewer trades, more profit. This focus on less is more is really different form what you might see in other services and other chat rooms. I know because I used to be members of other services — and they analyzed the krap out of the charts to the point where the analyst couldn’t recommend a trade. For any chart — they’ll say it could go up or it could go down. So then I say – how the heck would you trade it — and they would say — I don’t know. They do all this crazy analysis for the sake of analysis — and it leads to analysis paralysis. And their chatroom is filled with 20 different people’s opinions about what’s happening next. Well, I got fed up and decided to create my own service — super clean, no noise. Just solid trades that are repeatedly on a weekly basis for consistent weekly income. Now, back to the main topic of the show – overnight and weekend risk. Last weekend was daylight savings weekend – it was a 3 day weekend with Monday off because of President’s Day. What does this mean for your trading account? 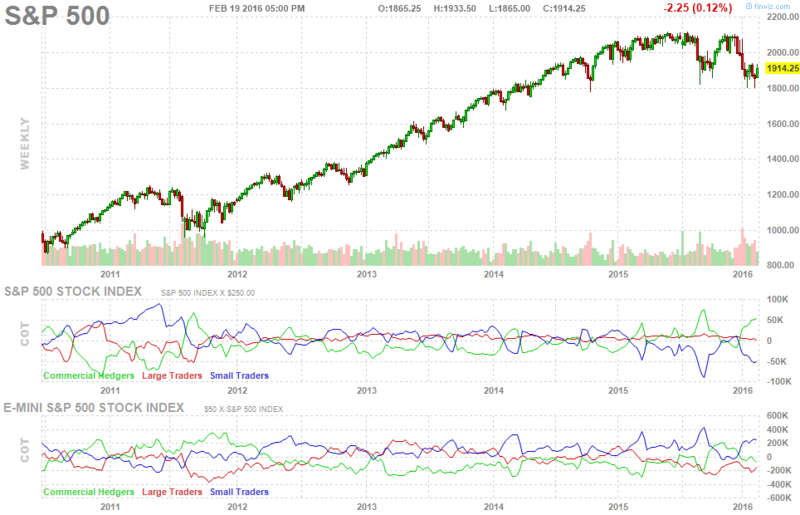 The stock market is closed on Monday but that doesn’t the wave patterns in the markets stop. In fact, futures still trade that Sunday night — and Monday S&P futures also trade up until 1pm. Then they also trade Monday night into Tuesday morning. So there’s actually a lot of action that CAN happen over a 3 day weekend. Usually not much happens, but in this past 3 day weekend, because of the timing of how this 3 day weekend was positioned in terms of where the market was — it was definitely a very risky weekend. You see, on Thursday afternoon – the S&P was making an attempt to break the 1800 level, but then rumors came out saying that OPEC leaders may convene to stop the drop in oil prices by controlling supply output production. And from there at 1802.5 on that Thursday afternoon, the market started rocket up. Anybody who was using a stock or ETF to bet that 1800 would break down would only have Friday before the close to cover that short. If you didn’t get out in time at Friday 4pm, then the only next opportunity to get out of this massive short squeeze would be Tuesday at 9:30am when the market finally reopens. But remember when it reopens on that Tuesday, it doesn’t just open from where Friday 4pm left off. It opens based on how futures have performed sunday night, monday morning, monday night, and Tuesday morning. And guess what happened during that time this past President’s day 3-day weekend? The market just kept going up without an opportunity for a retrace. We actually attempted to put on a bear call spread on Thursday morning with expiration the Friday after the 3-day weekend — meaning today February 19 Friday. But on Friday before that 3 day weekend, we had to exit that trade because we could not risk a massive short squeeze over the 3 day weekend. Sometimes it’s better to take a small loss early on than to take unknown overnight/weekend risk – and potentially lose many multiples of that small loss. It’s also important when we reach critical levels — such as this 1800 level, that we remain nimble in terms of changing directions. Yes, if 1800 broke down, we would likely go down towards 1750. But if 1800 held, it’s also likely that we rally hard — so you have to keep that in mind at these critical inflection areas. Even though we really wanted that 1800 level to break — it turns out it held support at 1802.5 with one last attempt at 1805 before rocketing up from a truncated 5th wave. Well, that’s how it goes – we got so close, but it didn’t happen. And we had to be able to react quickly. You only had the next day Friday to get out. Because if you held through the weekend, you would have lost a lot when the market opens on Tuesday morning — and lose even more if you held on another day or two as the S&P rallied from 1800 all the way to 1930 — 130 points in just a few days. The market basically went up faster than it went down — which is very unusual as it’s usually the other way around. Usually the market falls faster than it goes up — but in this case, the rally was much faster than the recent decline — and if you didn’t get out on time or change directions, you would have been smoked. Well, like I said, we normally want to short options into a 3 day weekend because we want to collect the time decay for that 3 day weekend — assuming the market barely moves. But in this case, we had to go against what we normally do and not put on that trade because we sensed significant potential market movement — which is what happened. So on Tuesday when the market finally opened, we initiated a bullish trade in the other direction based on the pattern we were observing. We also posted a chart on our blog predicting each turn by turn and day by day action — our prediction turned out to be correct and within a day — our trade reached 50% of max profit. And by the next morning, we were at 90% of max profit. Today, that trade expired at 100% max profit. Congratulations to lifestyletraders and subscribers who followed along our trade of the week and made money! It’s the risk that you are exposed to when you hold a stock or underlying ETF overnight — and is particularly pronounced when you hold that position over a 3 day weekend. Why? Because the charts still form patterns on Sunday night, Monday morning, Monday night, and Tuesday early morning — all of that action can affect where the market will open that next Tuesday at 9:30am. So if you are still holding a position on a Friday at 4pm and the market goes against you Sunday night and Monday — you won’t be able to exit your position until Tuesday. This is normally not a big deal, but in this past 3 day weekend President’s Day in February — it was a big deal because the market had just failed to break 1800 and as a result, rallied 130 points between Thursday afternoon and the following Wednesday night. As a trader, you want to avoid this kind of risk especially when the market is at a very important inflection point and so it’s critical that you assess what positions you have Friday afternoon before 4pm and decide whether it’s worth exiting those positions before the close or whether it’s ok to hold on. If you expect significant movement – potentially against you, then you should exit. Otherwise, if you expect minimal action, then you should hold on — especially if you are short options and are hoping to collect on time decay — which is usually a good strategy under the right circumstances. Our trade of the week from last week reached 100% max profit. And for this week, when the market reopened on Tuesday morning, we initiated our trade of the week for this week — and that trade also reached 100% max profit. Going forward, what do we expect for the S&P? Well, we expect the S&P to potentially get into the 1950+ region. From there, we may look for signs of a potential local top – depending on how the chart pattern forms. Thanks for listening. Signing off this is Silver Surfer. If you’d like to see our daily charts and blog updates, make sure you visit www.lifestyletrading101.com and subscribe so you can stay up to date with what’s happening in the market. That’s it for now – I’ll see you guys next time.